*In addition, opening acts will be responsible for their own travel and expenses per show. 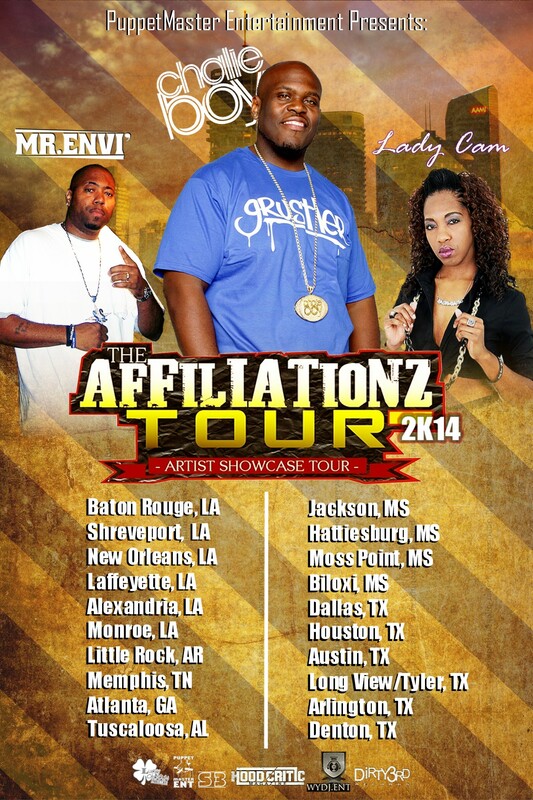 This is a great opportunity to tour, perform, and have your music heard in 15 different markets regionally. Interested artists or managers please submit your name and number via email: reggie@puppetmasterent.com and I will contact you with any details you may need. Get The Affiliationz Tour 2K13 DVD Today!